Rhondda Sports Centre in Ystrad shows live comedy. The pub has DJ's, it has karaoke. Rhondda Sports Centre has live music events. Gelli & Ystrad Comrades Club in Gelli has a function room that can be booked. The pub has DJ's, it has karaoke. 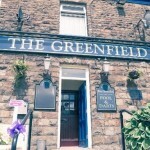 Gelli & Ystrad Comrades Club has live music events. The pub has a pool table, it has a big screen. Gelli & Ystrad Comrades Club shows football on TV. The pub has Sky Sports, it has terrestrial TV. Ton Pentre Afc Social Club in Pentre has a function room that can be booked. The pub shows live comedy, it has DJ's. Ton Pentre Afc Social Club has karaoke. The pub has live music events, it has a pool table. Ton Pentre Afc Social Club holds quiz nights. The pub shows football on TV. Whether your looking to enjoy a pleasant meal with family and friends, or looking for a place to come and relax after a long day at work, Ivor Hael Hotel is the restaurant to come to. Tylorstown Rugby Football Club in Tylorstown has an outside area. The pub shows live comedy, it has DJ's. Tylorstown Rugby Football Club has karaoke. The pub has live music events, it has a big screen. Tylorstown Rugby Football Club shows football on TV. The pub has Sky Sports, it has terrestrial TV. Clydach Vale WMC in Tonypandy shows football on TV. The pub has terrestrial TV. 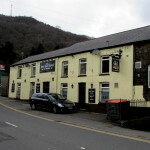 Clydach Vale Hotel in Cwm Clydach shows football on TV. The pub has Sky Sports, it has terrestrial TV.